In 2017, we decided to fit a new kitchen in our house on the first floor in a town house. Previously the splashback had been tiled, we wanted to move away from this, with a continuous product, our initial thoughts were that we would have to have glass. For us the main disadvantages to glass, were the thickness of the product and the cost. When we found the Alusplash in Benchmarx, it seemed like the ideal product, very sleek in appearance, durable, able to go behind our gas hob, easy to fit and easy to clean. Although our cabinet maker had never worked with anything like Alusplash, he was happy to template and to attempt to fit the Alusplash for us. He was very impressed by how easy the Alusplash was to cut and fit. 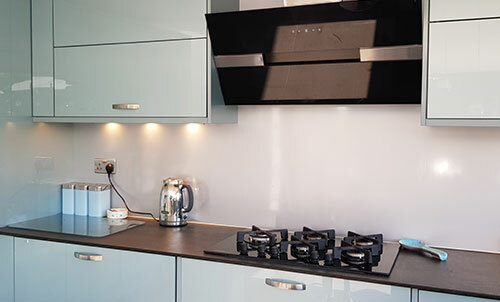 We had re-fitted our kitchen with Space Silver a few months ago. 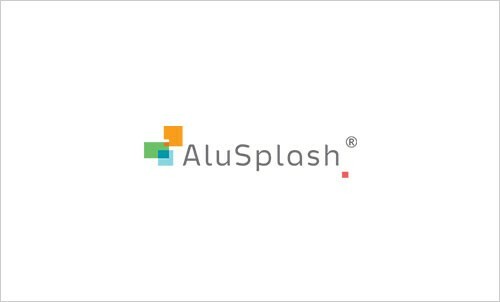 The AluSplash is great, as being aluminium we could have it behind our hob. 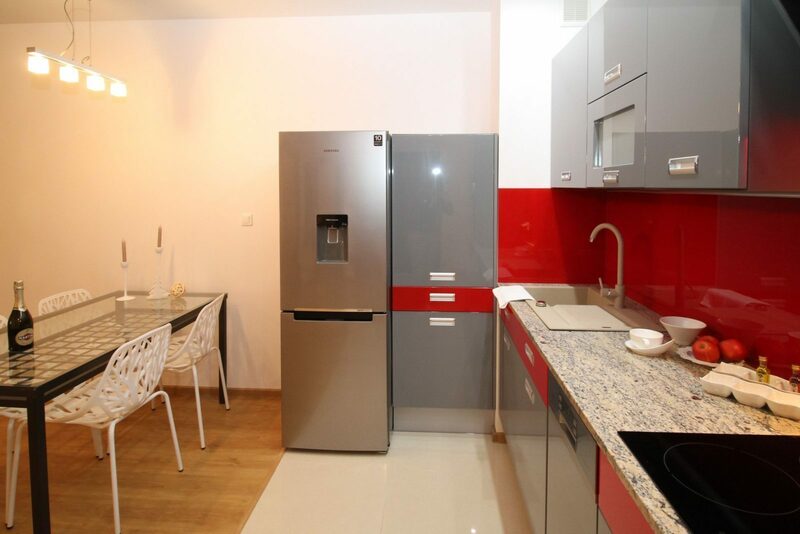 It also gives a really neat, modern and easy to clean backdrop to our kitchen. We have had our kitchen since Easter and love it and the AluSplash! We had coloured glass before but this is as good and cheaper and easier to fit. I have been recommending it to people! 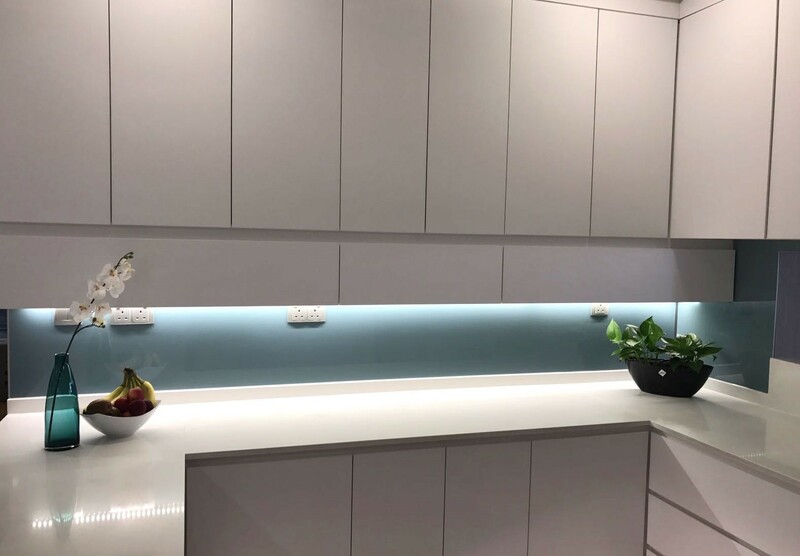 We have recently fitted our kitchen with Ocean Wave splashback, and combined it with surfaces of black Granite/Marble with the under unit lighting. We have used the splashback to accentuate an archway between the two areas of the kitchen which is "L" shaped. I am extremely pleased with the Ocean Wave colour, which fits into my scheme perfectly. I was looking to achieve an accent wall in my kitchen that would stand out. I needed something that was easy to maintain. I don't have to use any fancy sprays on it, just water and the panel is just as shiny as the day it was installed. Coming across AluSplash in Hafele Singapore showroom, I was so happy with the look and quality of it. It looks like glass, but isn't as heavy or bulky. I used Juicy Red backsplash for my kitchen. We stumbled across AluSplash in our local Hafele Singapore showroom and loved the color selection. 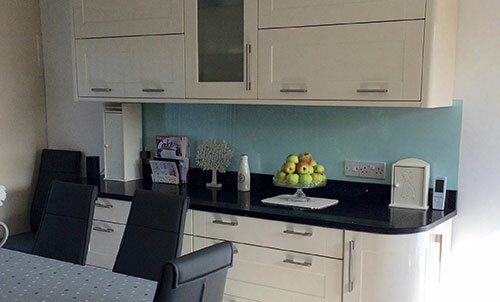 We found that the Blue Bird color worked really well with our light brown cabinets and worktop. Unfortunately, this color was not available for Singapore market, and we have managed to get it as a special request. 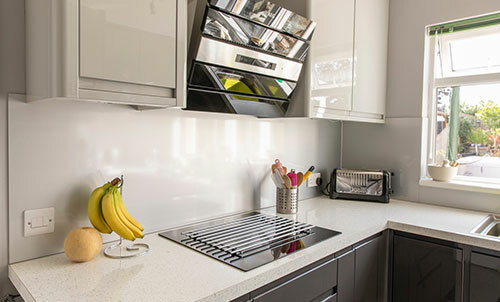 We have had the panel in our kitchen for 9 months now, and love the fact that it is so quick and easy to clean. 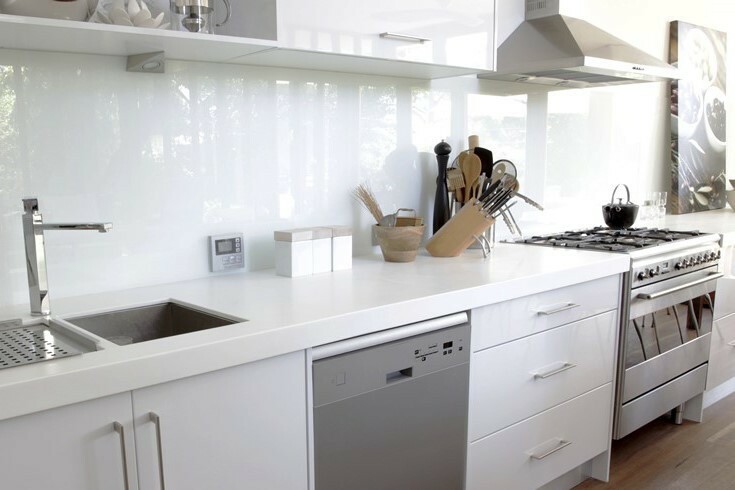 We are very happy with our Arctic White backsplash! It looks stunning in our kitchen, which is facing the small garden. 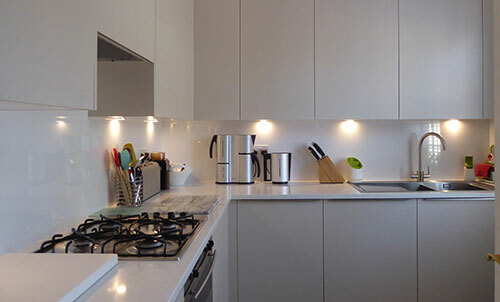 White colour and the reflection on the surface makes our kitchen look even more spacious and stylish.